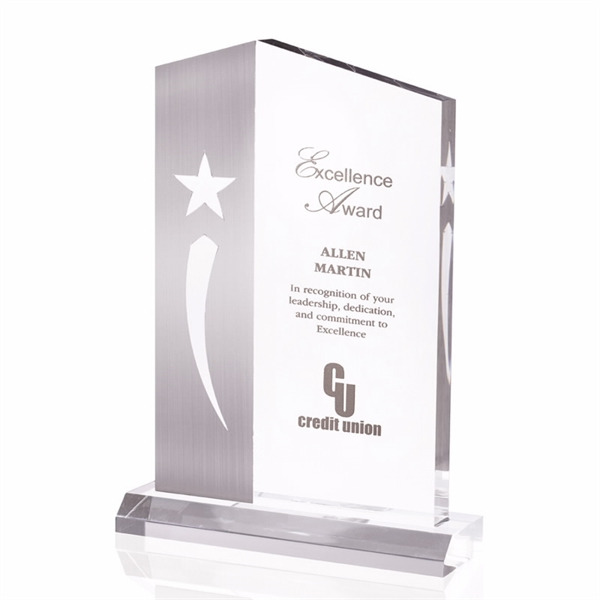 The perfect award for your superstars! Features unique silver paint detail with shooting star cut-out. 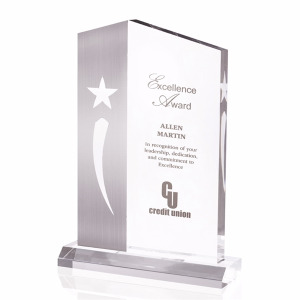 Plaque-style award with wide base design. Product size: 7" w x 9 3/4" h x 3/4" d.
I'm interested in learning about the Metallic Shooting Star Award. Please contact me.